When the lungs and the airways suffer inflammation, it could cause breathing. This chronic disease can range from mild to serious and would require a lot of constant monitoring. Asthma is one of the common conditions among anyone. Adults are able to articulate the condition and look for help but when it attacks babies, the consequences can be quite serious because there is no way to communicate to the adult. An infant who has difficulty in breathing is unable to tell the adult which makes the situation all the more serious. During an asthma attack, the lining along the airways become inflamed. This will cause mucus to be formed and the muscles will then tighten. As such, the breathing tubes begin to narrow and makes it difficult to breathe. As a result of this, the baby will start to cough or breathe very rapidly as if he is gasping for air. In most cases, he will start to wheeze which makes a whistling sound because of this effort. This is very critical because if left untreated, it could lead to more serious conditions including death. If you have a newborn, then you need to monitor the situation very closely. In fact, you need to be aware and listen for such symptoms. If you hear the wheezing or your baby breathing very rapidly, bring him to the doctor immediately. Is asthma related to allergies? These agents could trigger allergy reactions. When that happens, your baby has allergic asthma but if you leave it as it is, the condition could further develop into a full blown chronic asthma. 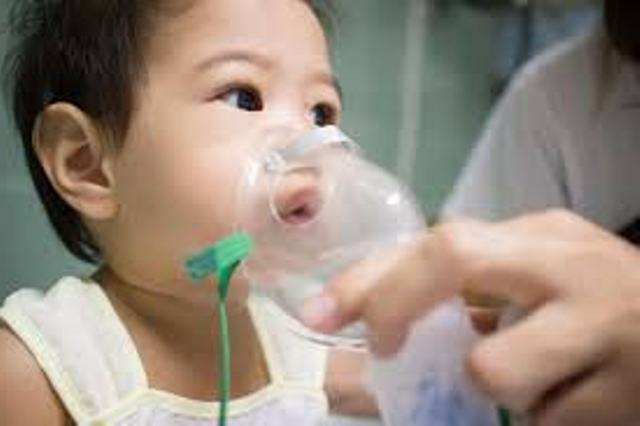 Why Asthma always attack kids? Among the many types of medical conditions like jaundice and fever, asthma is in fact one of the most common problems faced by children and could start from as early as the first week after birth. Most children will develop this before they are 5 or later in life. The main reason why children will most likely get asthma is because they are exposed to allergens and the development in their body is not as efficient in the beginning stages. This expose them to attacks. If you have determined that your baby has asthma, you need to work closely with your doctor on how to deal with an attack. Find out where is the trigger. If the attack occurs, you will need to get medication quickly. This can be done using relievers like an MDI (metered-dose inhaler), albuterol or related drugs or using a nebulizer. The MDI is sometimes referred to as a ‘puff’. Drugs are used to stop the attack but they can used for prevention as well. this includes using inhaled steroids.